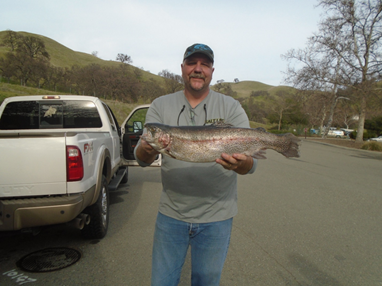 Pha T. of San Jose caught this seven-and-a-half pound trout fish while fishing with orange and white mice tails. The lake temperature has dropped into the mid-40s in the mornings, rising into the low 50s in the afternoon. The water level has risen dramatically the last few weeks the lake is almost at capacity already! 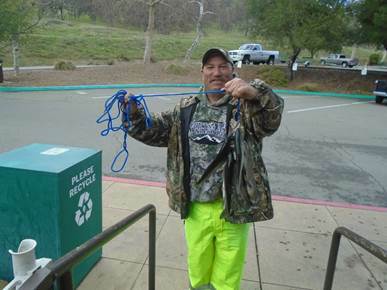 The spring season is right around the corner so be prepared bass anglers! 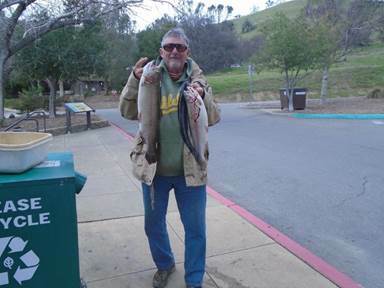 If you like big catfish the winter is a great time at Del Valle to fish for them! Many of the catfish are moving into the murky water around the marina area. Most of the catfish have been caught exclusively on anchovies although a few have been caught on nightcrawlers as well. Fishing sharp drop-off points along the shoreline can be another great way to hook into the catfish. 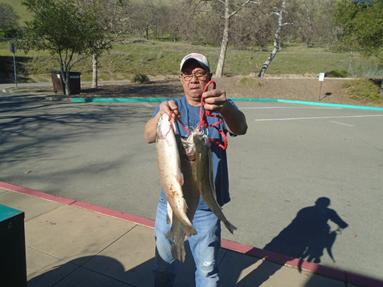 The catfish are going to start moving to the structure like bass are as the water level rises in preparation for summertime. 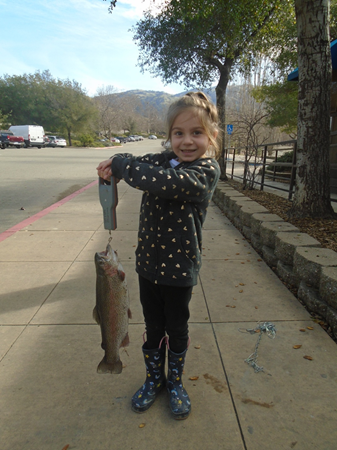 The trout are moving along in the lower narrows or in the marina. 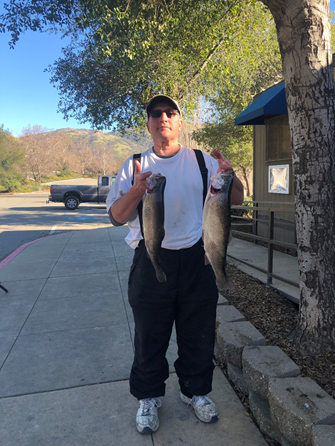 With the higher water levels, anglers are having lots of luck from shore along the east beach and directly north of the boat ramp right past the no fishing sign. 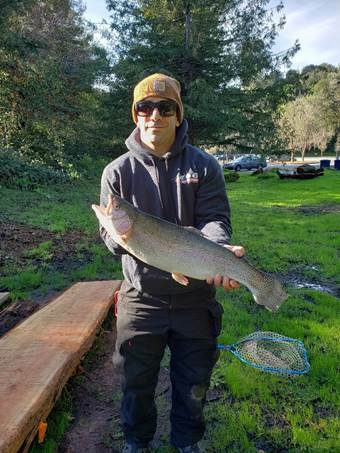 If you are fishing from a boat, we recommend the shallow waters in coves around the lake or if you are trolling, we suggest trolling along the sections of the beach in between coves is another good idea. 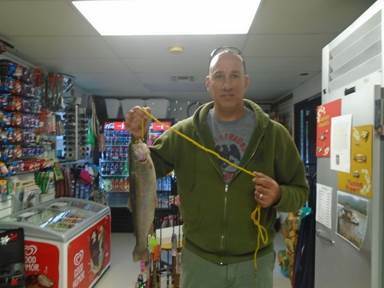 Lures like small shad imitations such as 1/8th Kastmasters, minnows, or small spinners have been working great! 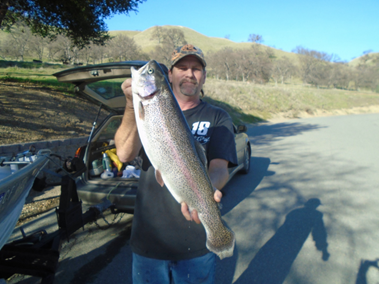 Trout are also hitting on corn yellow Powerbait, chartreuse green Powerbait, and mice tails with orange or pink coloring. If you are still having trouble finding where the trout are, just look for the pelicans! 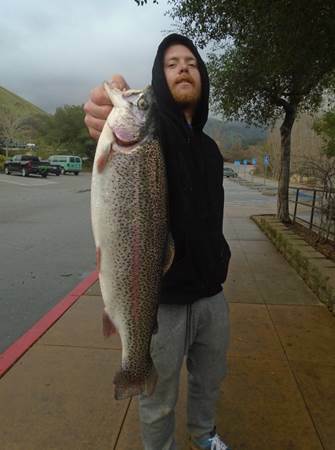 They always know where the trout are. 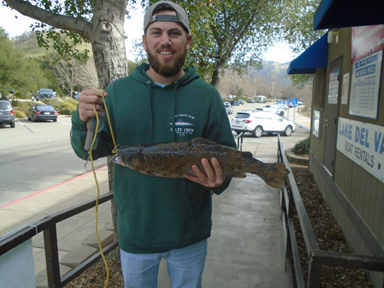 The black bass bite is slowly picking up but they are still active and can be a great fight if you are willing to put in the time to find them. We would recommend Heron Bay by the dam since that is where the clearest water is. As the water warms, we should start to see more activity in the south end of the lake, as that is where our bass typically go to breed. 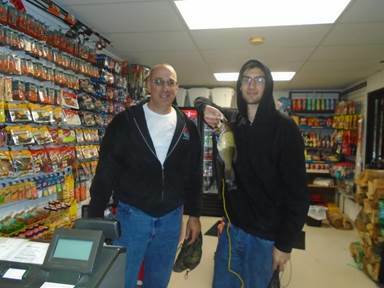 The bass have been fussy and only seem to be interested in worms or shad imitations. You will need to work them slowly and near the bottom of the lake. We would recommend a small spinner or weightless nightcrawlers. With the water levels raising, more of the exposed trees and other structure along the shore of the lake will start to submerge. Those will be key bass fishing spots in the coming weeks. 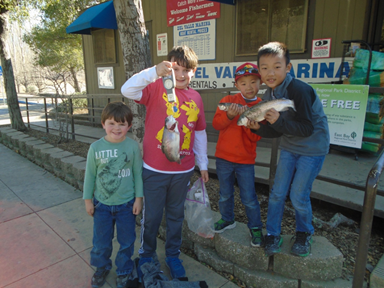 Striped bass are running hard through the marina chasing the smaller trout that come from the trout plants. 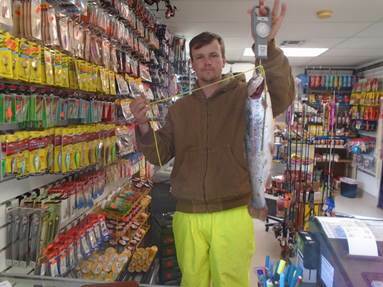 Many of our reported striper catches are accidental catches from anglers who are bait fishing for trout. 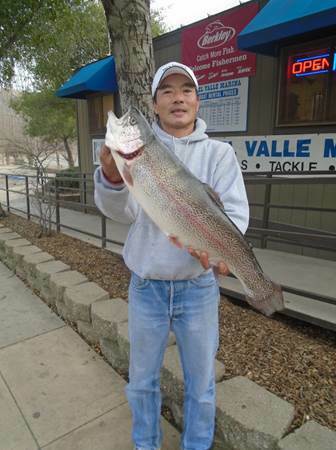 Trolling large swimbaits around the marina is another good way to target the striped bass in the lake. Huddleston’s or savage gears will work well as to some older style Alabama rigs, although these are only for catching BIG fish.